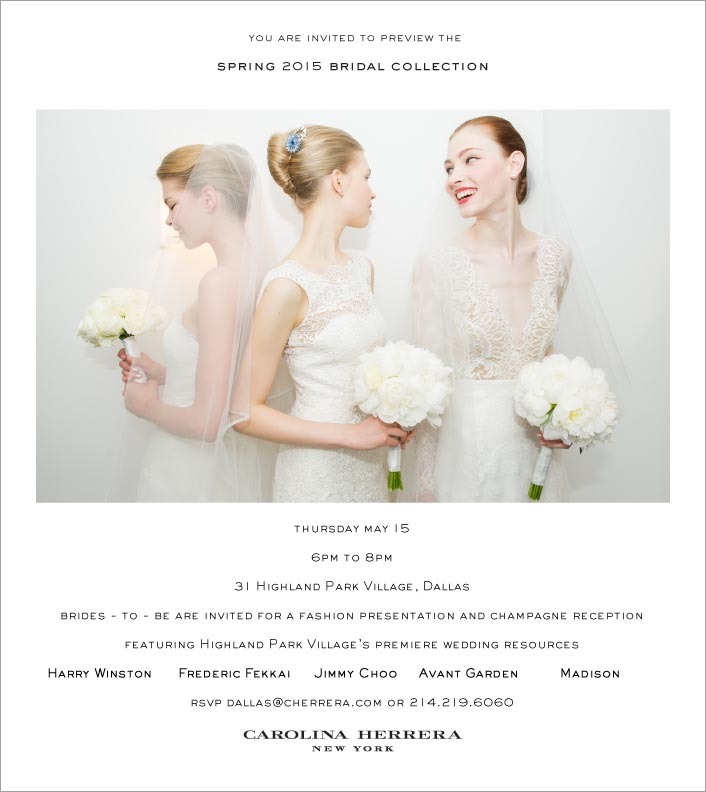 We hope you can join the Carolina Herrera boutique on Thursday, May 15th from 6-8 p.m. for the preview of their spring 2015 bridal collection. Brides-to-be are invited for a fashion presentation and champagne reception. Enjoy information from other Highland Park Village Bridal Resources including Harry Winston, Frederic Fekkai, Jimmy Choo, Avant Garden, and Madison. Please R.S.V.P. : Dallas@cherrera.com or call 214.219.6060.